Recreation in streams and rivers is a popular activity in the Los Angeles region. Yet, there is a lack of data on the water quality of these freshwater recreational areas creating possible public health risks. 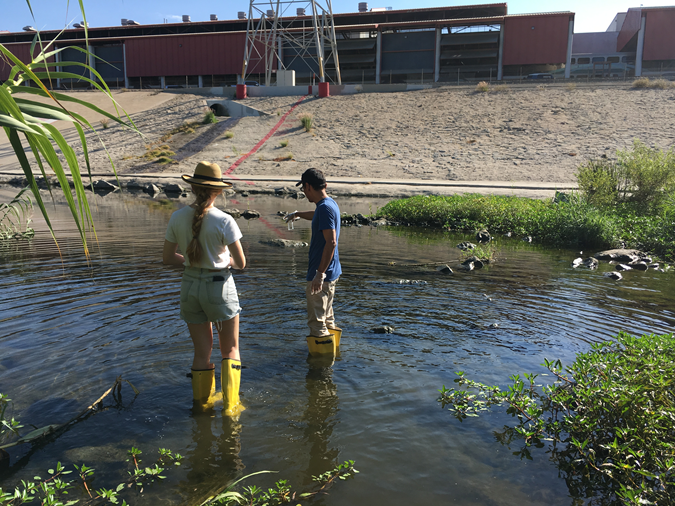 Heal the Bay proposes to monitor bacterial water pollution at two recreational zones in the Los Angeles River during the open recreation season in 2017. Heal the Bay will partner with the Los Angeles Trade Technical College and local high schools to provide job training to students in water quality monitoring while doing education and outreach on urban watershed issues, sources and impacts of runoff pollution, and improving water quality. Water quality data will be regularly made available to the public. Results of the study will be used to make recommendations to agencies and watershed stakeholders for improvement of water quality and how best to protect public health.